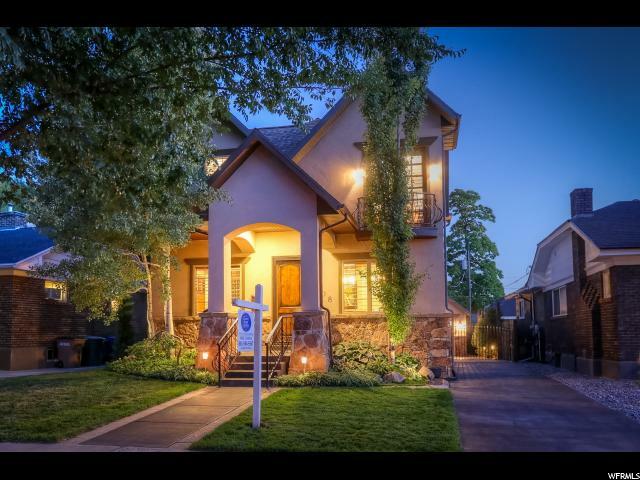 All UNIVERSITY HEIGHTS homes currently listed for sale in Salt Lake City as of 04/22/2019 are shown below. You can change the search criteria at any time by pressing the 'Change Search' button below. "This is 15th and 15th at its finest! This house is designed to spoil. A mid-sized luxury home with more features throughout than the grandest homes on the east bench with less to maintain than the average home. This newer, super customized home offers amazing open spaces and an easy indoor/outdoor flow. The intimate courtyard is a private urban oasis with a deluxe fireplace and waterfall combination to enhance easy care outdoor living. This home sits midway between several super popular village centers loaded with specialty shops and restaurants...all within a short stroll. The fabulous interior showcases rich custom woodwork, incredible stone slabs, Venetian plaster walls and designer finish details. Highlights are the cozy main floor living areas, surrounding the gourmet kitchen loaded with fine features. Wonderful, unique fireplaces warm the living and family areas. Upstairs, dramatic vaults create a grand sense while rich woodwork adds warmth. The master is a true retreat with a fireplace, sitting area, and an architectural spa bath with refined elegance. Note the main floor den and a full bedroom suite. 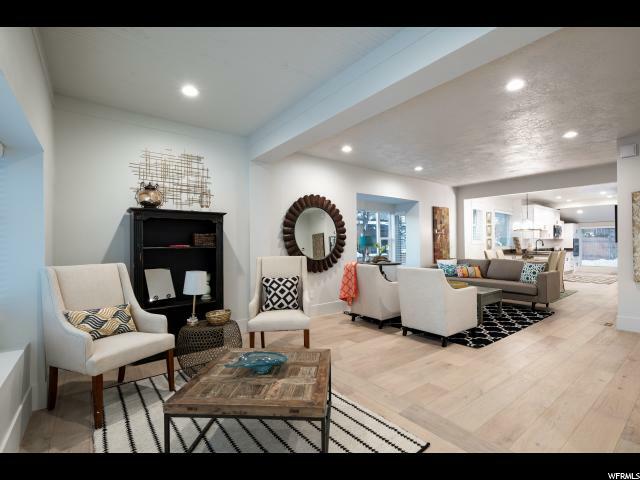 All told, this is a four bedroom custom jewel in the top rated walking neighborhood of Salt Lake. Don't miss the gated drive court and special double garage." "Complete remodel in Highly Desired Area of 15th and 15th. Fully permitted, updated home features new electrical, new plumbing, 3 new baths, all new flooring. Open floor plan with large master suite on main. Office/den on main can be bedroom. Fully Finished basement with 2 more beds, laundry, bath and family room. Detached garage as well as 2 additional off street parking spaces. Easy to show, see it today!"